What do these amazing pieces have in common, besides their unique beauty? Believe it or not, they started their lives as buckles. Sash buckles, cape buckles, shoe buckles, to name a few. Sometimes cast, sometimes repousse, either way the effect is stunning. I love finding an old broken buckle and bringing it back to life. 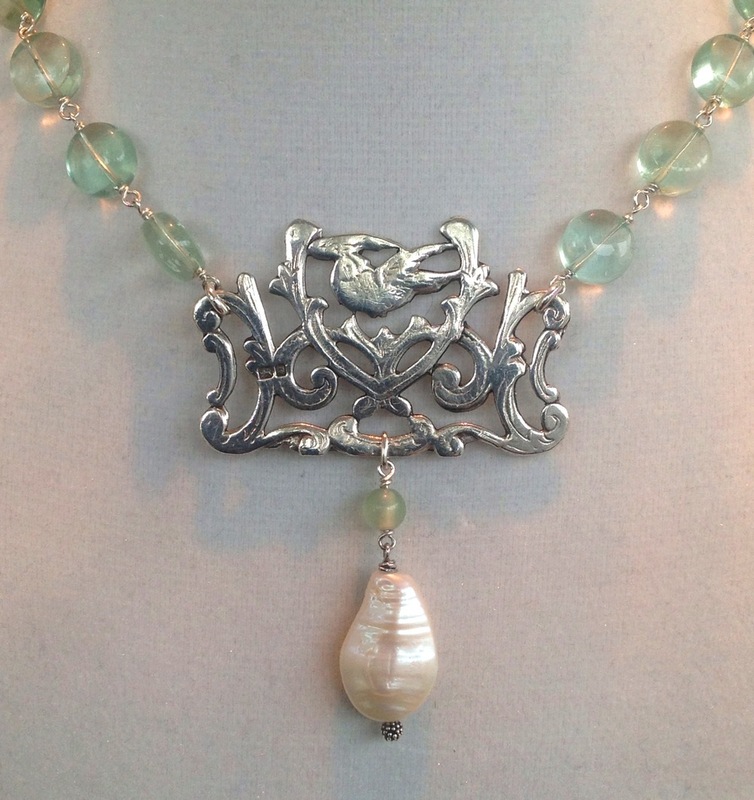 It's always a conversation piece, especially hanging from a chain of sparkling, top-grade semiprecious beads or pearls. Put one on, buckle up, and get ready for the compliments!